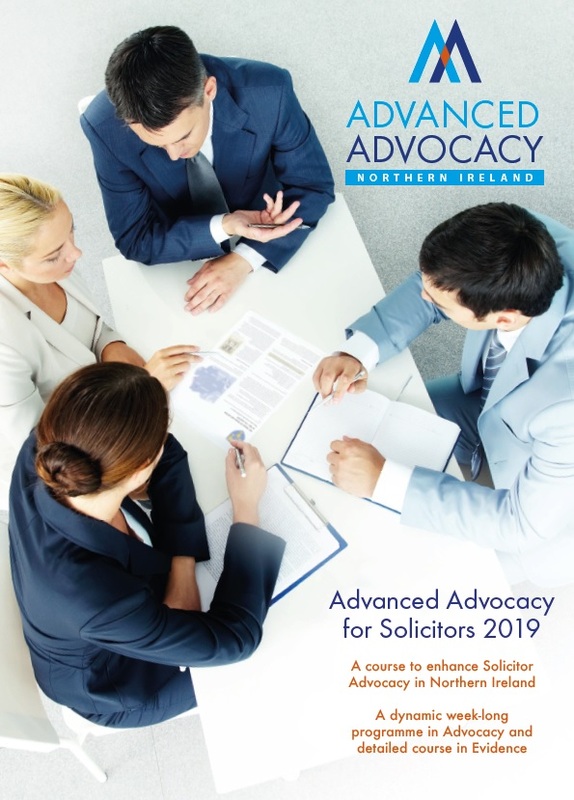 The Law Society of Northern Ireland is delighted to announce the launch of the Advanced Advocacy Course 2019 for solicitors. • The course consists of a series of lectures and workshops on evidence and a practical five day intensive course in Advanced Advocacy. 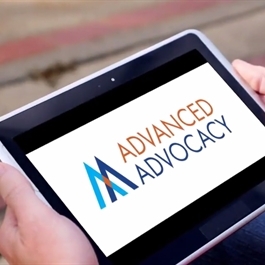 • The Advanced Advocacy Course is delivered by experienced local and international faculty members. Faculty from the judiciary, solicitor and bar professions in this jurisdiction and our sister jurisdictions work with faculty from the National Institute for Trial Advocacy (NITA) and other Advocacy professionals. • The five day Advocacy Course utilises the highly respected methodology of the NITA organisation. • The number of participants is limited to ensure a tutor/participant ratio that is conducive to quality training. 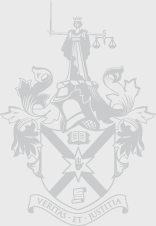 • The course is aimed at those who are admitted to the Roll of Solicitors in Northern Ireland and who have three years’ post-qualification experience on 1 May 2019. It is anticipated that demand for places may exceed availability and in that event places will be allocated in accordance with selection criteria determined by the Advocacy Working Party. • The cost of attending the complete course is £1,600. 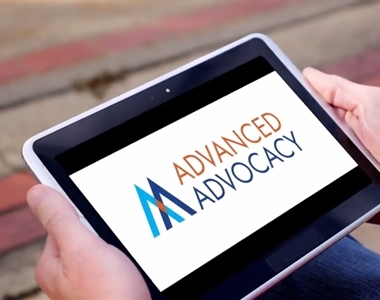 • A Certificate in Advanced Advocacy will be awarded on successful completion of the course. That in respect of the Number of full years’ post qualification experience as a solicitor you have 3 years' PQE at 1 May 2019. • This is a composite course and those hoping to receive the Certificate will be required to attend all the evidence lectures and workshops, successfully complete all coursework assigned to them, pass assessments and attend all five days of the Advanced Advocacy Course including the final court trial. • Reading in advance and assimilating all course materials is an essential prerequisite to the evidence sessions. Participants will be allocated into syndicate groups for discussion and will be required to be familiar with materials. Saturday 25 May and Saturday 8 June 2019 plus an evening assessment on Tuesday 18 June 2019. 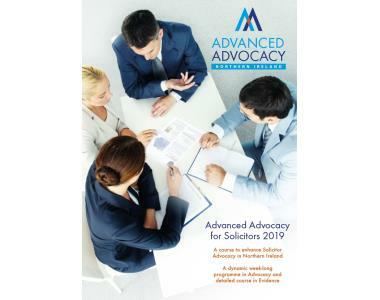 • The five day practical course in Advanced Advocacy will be held from Monday 2 September until Friday 6 September 2019. • Court dress MUST be worn for the five days of the Advanced Advocacy Course in September.